A capacity crowd attended CCN’s breakfast event and innovation forum in Sydney in August where the winners of the 2015 HVACR Leadership Awards were formally announced. The event featured a number of speakers involved in the $6 billion Barangaroo development and was followed by the formal awards presentation. CCN editor, Sandra Van Dijk, described the event as a celebration. “Today we are here to celebrate innovation and industry excellence. And I really believe we have a lot to celebrate,” she said. Barangaroo is the first carbon-neutral community of its size in the world. In fact the 22 hectare-site is one of 18 projects worldwide to be climate positive. All three towers at the Lend Lease site have already achieved six stars and key parts of the Sydney Harbour foreshore has been returned to the public for the first time in more than 100 years. The site boasts the biggest LED installation in the southern hemisphere, the largest district cooling system in Australia and the site generates more renewable energy than it uses. Residential and retail tenants including Westpac and KPMG are already moving into the towers keen to enjoy the productivity benefits of a green workplace, which is estimated to be around 15 per cent. The main sponsor of the awards was Bitzer Australia, an industry leader and innovator. Bitzer Australia managing director, Peter Gibson, said the company was proud to be a major sponsor of the CCN Live Leadership Awards. “This was a highly anticipated event on the HVAC&R calendar," Gibson said. "The atmosphere at this event is always positive and having the industry’s best all together in the one room is both inspiring and uplifting. “Hearing about the new technologies installed at Barangaroo from the people at the coalface of this mammoth project was an eye-opener. An example of this is Australian manufacturer, AIRA, who won the Innovator of the Year Award. AIRA managing director, Ian Rich, said innovation is central to being an Australian manufacturer. 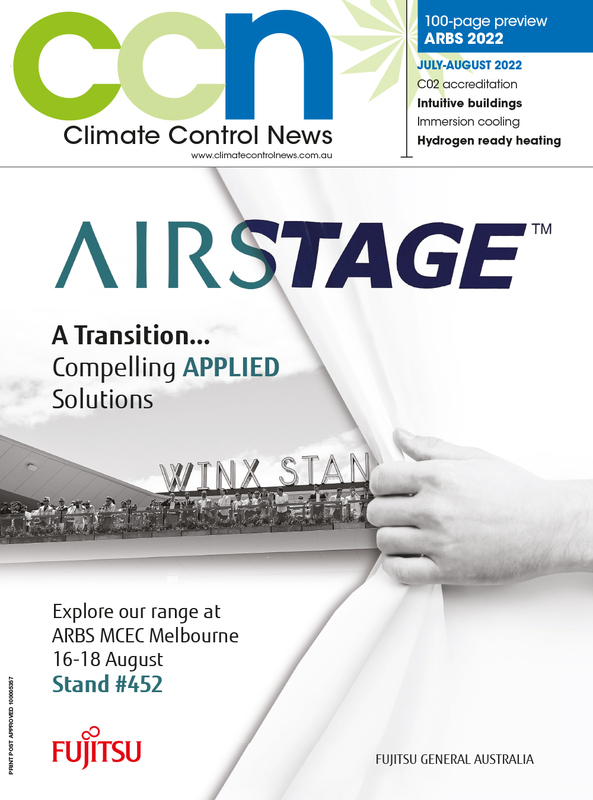 AIRA provides high efficiency heating and cooling products for the Australian market. Rich attributes part of the company's success to employing creative people that can think outside the box.